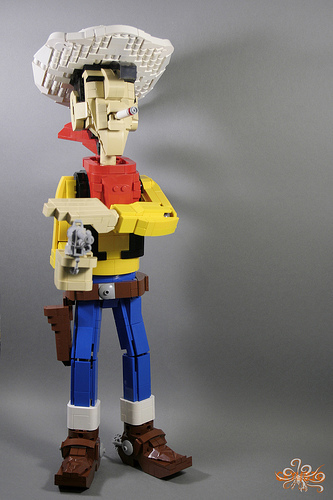 I may not recognize the specific character, but the sculpting and sheer personality completely caught my eye. 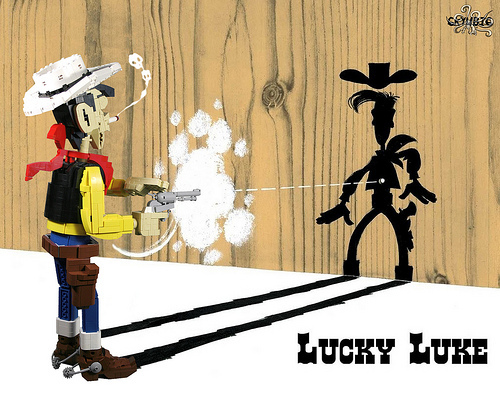 According to Jimmy (6kyubi6), this here is Lucky Luke, and he’s know as the man who shoots faster than his shadow. He’s from a Belgian comic series, which is set in the American Old West. To a European this should easily be recognized as one the most popular comic figures from Belgium. Great build!